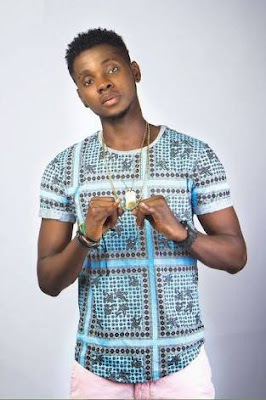 In the early hours of Monday, armed robbers stormed the Calabar Christmas Village in Cross River State, while Kiss Daniel was performing. It could not be confirmed if anyone was killed in the incident, but it was learnt that several people were stabbed. It was learnt that some others, who sustained gunshot injuries, had been hospitalised. People usually pay rent to the state government to operate shops in the village for the one-month (December 1-December 31) end of year activities. The incident occurred just after midnight while the artiste was performing. .
the village, Glory Akpan, said: "I was wounded. Some boys came into the village and tried to rob that guy, who sings "Oya talk to me o Mama" (Kiss Daniel), while he was performing. . They threw bottles and other dangerous objects at him. They later brought out guns and began to shoot sporadically. The robbers attacked him and removed his clothes. They would have killed him. I don't know how he survived that night. There were thousands of people in the Christmas Village and the situation caused pandemonium. They broke everything in my shop. They carried all my money and robbed many shops. Our chairs were broken. .